“Yea, you know, cargo shorts, flowered shirts, Birkenstocks.” He thought I was wearing Birkenstocks. I was wearing Costco-stocks. 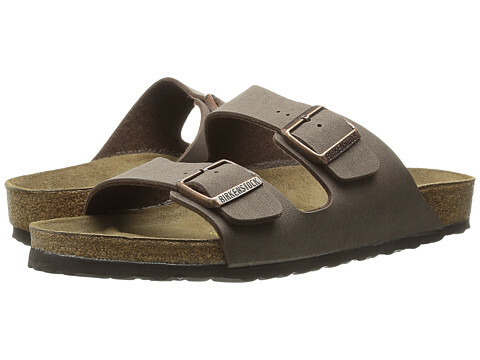 I didn’t know what Birkenstocks were, so I snuck off. (Before you criticize, I have never decided if “snuck” is a real word. Sneaked sounds pretentious. But you probably understood what I meant when I wrote “I snuck off.” Therefore, in some sense it is a word. But now I have fantasies of legions of petty English teachers and persnickety copy editors plotting to forbid me to ever write in English again. But, of course, I digress.) Off I went to locate a pair of Birkenstocks. I discovered two places where Birkenstocks can be found in Fresno. One was at a shopping center in a store catering to 14 year-old girls. The other was a Birkenstocks store in North East Fresno. Between the ‘60s and now, a lot of hippies must have made a few bucks, because I ended up paying over $100 for a pair of sandals. In case you didn’t see that, I will break one of my cardinal rules and use all upper case letters: OVER A HUNDRED DOLLARS FOR A PAIR OF SANDALS. I won’t tell you how far over. But it is further over than the price of any sandals I have ever bought before. I once spent $20 on a pair at Costco and had a knot in my stomach for years. Things have changed. Now, I also have bought a hat that makes me look like an anthropologist searching for the fossil beginnings of humans. 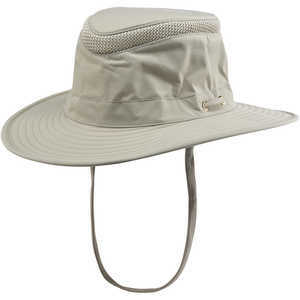 It was around $100, but people told me a Tilley hat was an Old Guy requirement. And the Tilley people also say their hats float, so I needn’t fear losing my investment if I ever go on a boat. 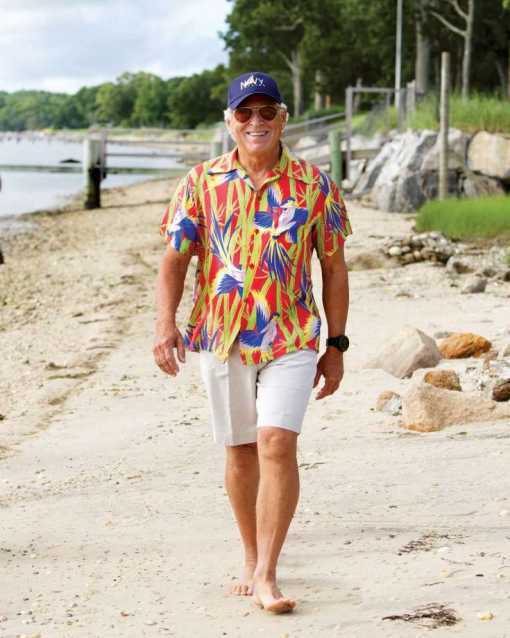 Jimmy Buffet is probably the role model for Old Guy uniforms. He looks and acts like an Old Guy who has spent too much time on the beach drinking beer and (in his case successfully, I’m told) wooing younger women. But, is it possible to drink too much beer on a beach? I think not. He’s rich. He sails, flies airplanes, used to smoke a lot of pot, can play a slightly better than mediocre guitar, and has written more than a few good songs. And he is on the road a lot. What a life. Some people claim Mick Jagger is a good Old Guy uniform role model. I disagree because he seems to care too much about what he wears and how he looks. He is probably the guy Carly Simon was thinking of when she wrote, “You’re so vain, you probably think this song is about you.” I admit I am a little jealous of him because he can jump around on a stage for hours while singing “Satisfaction” for maybe the googolplex time, and I can neither sing nor jump around on a stage. But his body just doesn’t match his face. According to his face, he has done a lot of heavy-duty living, but his body seems to be that of a 13 year-old boy. Plus, I can’t imagine him in a flowered shirt. Keith Richards, though, makes the cut. Just the fact he is still alive marks him as a special human being, although he looks like he’s been dead for a decade or two. His special ability, besides playing a great guitar, is that he just doesn’t seem to care about how he looks or acts. It isn’t that he is apathetic, it just seems that seconds last hours for him and he enjoys each one just for the hell of it. I don’t think he knows the Sixties are over. Bruce Springsteen is such a great Old Guy that it is hard to believe he is just a month or two my junior. He’s 66 this September. I can imagine him in a flowered shirt and sandals, but all his clothes are probably bespoke and specially designed to look casual. However, the Boss deserves to be on the list because he is...well...The Boss, even if he is from New Jersey. And, of course, one can never forget the great Jeff Bridges, a.k.a. “The Dude”. He is almost the archetypical Old Guy. He looks good dressed poorly and great dressed well. 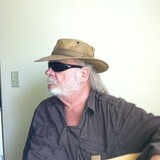 But he has been on the cover of AARP Magazine and ergo automatically is an Old Guy. He also has been on the Cover of Rolling Stone, which is like playing in both the World Series and the Superbowl. In the same lifetime. My wife says because he has a long-term marriage he should be on the list. I won’t say if I agree with her. Some thoughts are better left unsaid.